Ikestei is located in the neighborhood Iruzubieta from Ziortza-Bolibar; the region is Lea Artibai in Bizkaia. It is 2,5 km far from Markina-Xemein. The original farm had been destroyed by floods. Nowadays building is from 1975 which was the farm for animals and the house until 2005. 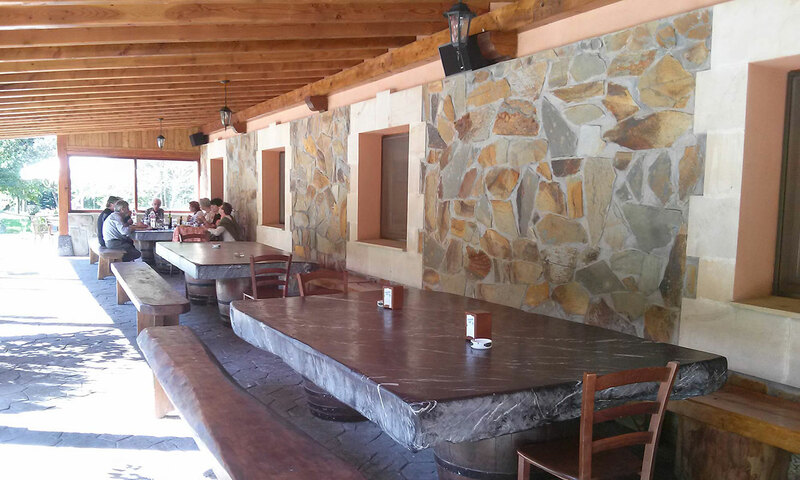 That year, had been built another block for animals; the ancient one is now the Restaurant. The business all the time has been run by the owners, that is the reason why the customer have a good attention from the service. 150 meters far from the house is the Northern Way to Santiago, the stage from Markina-Xemein to Gernika. That is why this guest house have many pilgrims as guests. Continuing the Santiago Way from here, there are two important places to visit. In two km from our hotel we arrive in Ziortza-Bolibar where we can visit Simon Bolivar museum. Then contimuing one km more walking, in the way to Gernika, we arrive in Cenarruza where you can find “The colegiata de Cenarruza”. 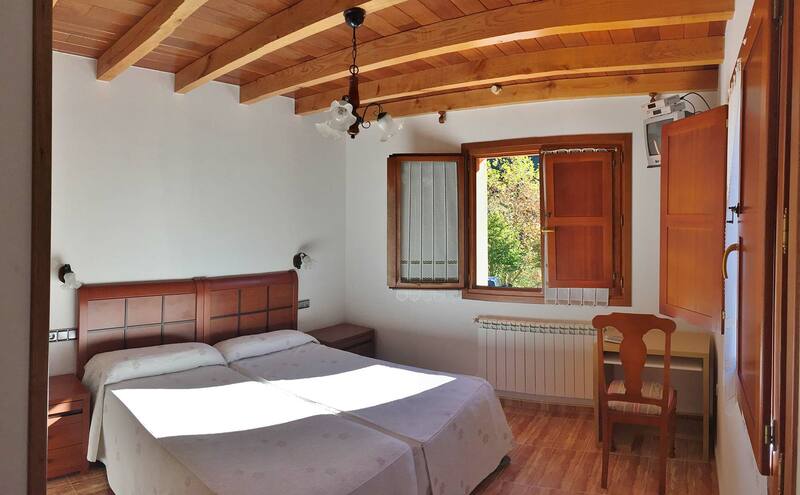 We have to stand out the strategic location, for a holiday staying and also to know the touristic cities as Bilbao (40’’ ) and San Sebastian (50’’), also typical coastal villages as Ondarroa and Lekeitio, 15’’ minutes by car or by bus. 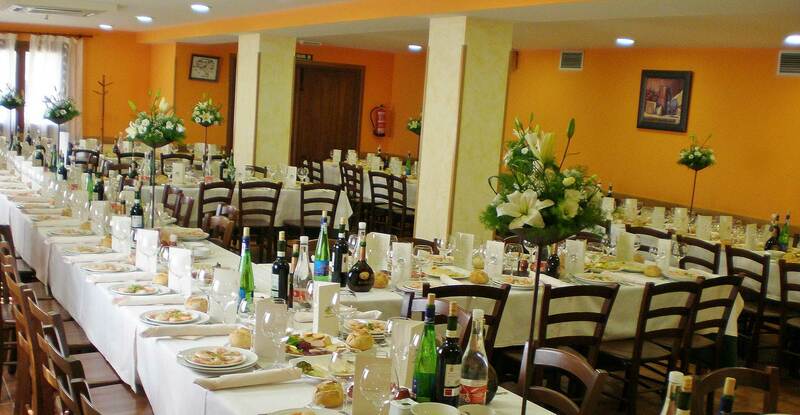 There are two eating rooms where the restaurant can give service to almost 150 people, which is an ideal place to celebrate family meals, with friends, weddings, communions and christenings. The restaurant gives the service of an orchestra or bus if you ask. There are daily menus and also menus for weekends. You can also enjoy the large “carta” specialized in grilled local fish and meat. Always the products used are good quality, meat from the house and fish from the nearest port, Ondarroa. Desserts are very popular, home made of course, by the mother from the house!! The “amatxu”. 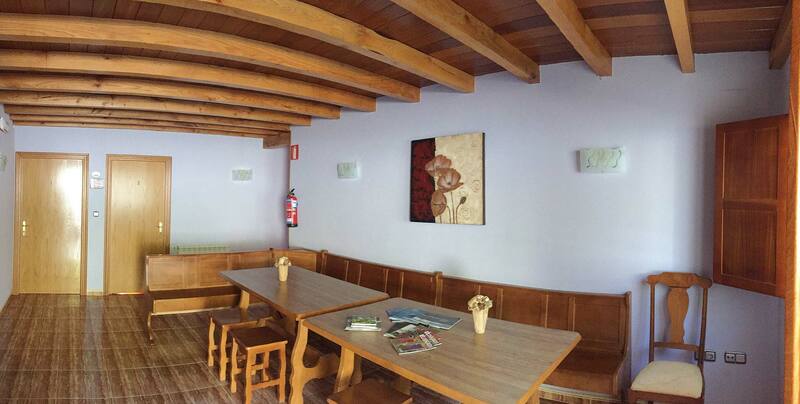 The restaurant is also adapted for disabled people. Outside complete the restaurant an area for children, wide parking for cars and buses, and an exterior terrace with music. Free WIFI available. Four double rooms – one of them adapted for disabled people- each with its own complete bathroom, TV and heating. The rural house has a kitchen and a living room for all the guests. The house is located in an exceptional area to enjoy Nature, and the restaurant which is located below the house, is always available for giving meals to guests. Free WIFI available. Menu of the day: 12,00 € (VAT included). Menu with coffee: 12.30 € (VAT included). Weekend Menu: € 20.00 (VAT included). The Ikestei farmhouse is situated in the neighborhood Iruzubieta Bolibar, in the region of Lea-Artibai. 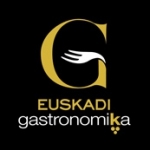 “Euskadi Gastronomika project”, The “G” which certificates good service linked with gastronomy and wines. 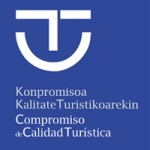 SICTED Program, which is a touristic Quality Compromise, and works for management improvement.